How the Slavic people changed our fears. THE BEGINNING OF THE "VAMPIRE"
It’s safe to say we have the Slavic nations to thank for the belief and hysteria caused by the blood sucking night dwellers. They perfected the belief and fear of “the other—the unknown.” As humans we are naturally curious beings, always trying to figure out the truth and solve problems. That is where our obsession of monsters, specifically vampires, comes in. They are abnormal, they aren’t living or dead, they survive by feeding off of us. Vampires are everything we will never understand. The true history of the early Eastern Europe belief in the living dead derives from three historic events. First, it was popular to blame any mysterious deaths, illnesses or physical deformities on this "unknown." Second, the religious struggle between the Roman Catholic and Greek Orthodox churches, and those churches against Islam. Last, the harsh cruelties and atrocities of the historical, bloodthirsty rulers gave the people reason to believe that they were not true humans. These three mysterious, violent and indecent events all drove the uneducated European masses into a vampire frenzy. 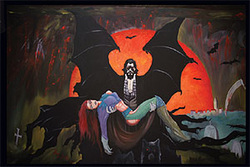 A lot of the mystery behind the truth of vampires comes from the uneducated people of the Slavic nations and the lack of modern day science and medicine. They sought out the truth about death and decomposition, but were unable to to unravel it. Instead, they believed that if the human body did not decompose at a rate they believed to be correct, then that human was a vampire and needed to be beheaded in the grave site. What they didn't know was that the body decomposes eight times slower underground than above ground. Sometimes the people who dug up the graves looking for vampires would find blood leaking out of the nose, ears or mouth of the dead and they believed this as a sign of vampirism. In reality, during the decomposition process the lungs build up with a dark red sanguinous fluid and the braid liquifies. Since those who were believed to be vampires were traditionally buried face down, due to gravity that liquid would leak out--proving their assumption of vampirism. what came first, the werewolf or the vampire? 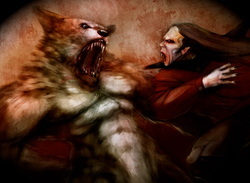 Vampires first appeared among the prehistoric Slavs as a belief in lycanthropy, or “were-wolfism.” The werewolf was the main predator of this time and was both feared and admired by the tribes of today’s Poles, Czechs and Russians, among others. The Slavs great belief in the power of nature led to the early belief that some people were capable of transforming themselves into wolves during the night at their own will, or after death. This belief grew stronger and through the natural progression of logic the "half-human wolf" that preyed on human blood soon evolved into the "solely human" blood sucker. The belief was that those who werewolves in life became vampires after death. The vampire that we know today is someone we want to know, have on our side, possibly date if he’s into it. However, he wasn't always a clean shaven, handsome, mystery man. In fact part of the history of the vampire begins with an evil spirit—something that would creep into your bedroom at night and sit on top of the sleeper, causing a feeling of suffocation. 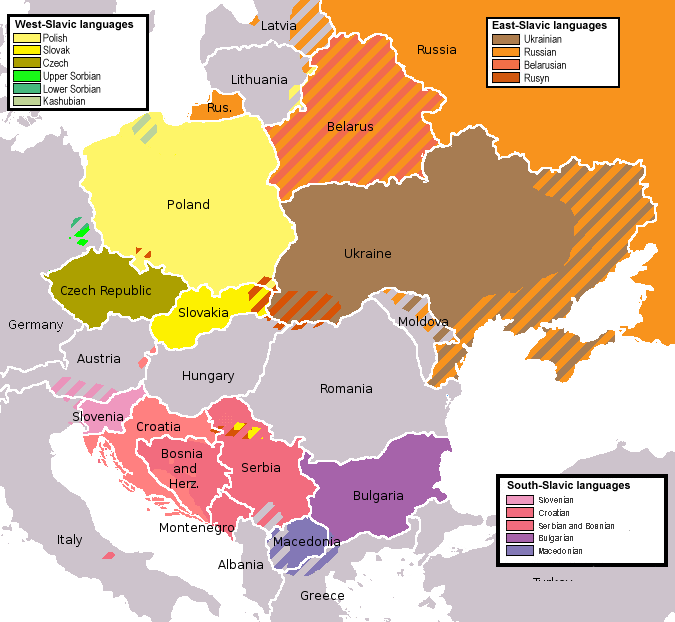 The modern Kashubian people of Poland, and the Slavs in Serbia and Croatia still lose sleep over the fear of the “mwera” or “mora”. This is why we associate vampires as being night dwellers. So how is it that the fear of vampires is so prevalent throughout the word? How did the tales of these nightmare monsters spread to the other European nations? Simply through trade, battle, intermarriage and emigration. The Slavic nations would share their folklores and myths, "corrupting" or altering the culture of the nations and what they should really fear. Obviously, they must have been pretty convincing, seeing as vampires have made it all the way to the 21st century. Giure Grando or Jure Grando is credited as being possibly the first real person described as a vampire in historical records. Grando was from Istria, located in modern Croatia. According to legend, after his death in 1656 he came back as a strigoi and caused hysteria to his village for 16 years. He would rise from his grave at night and knock on the doors around the village and within days someone from the house he visited would die. He even appeared to his widow one night in her bedroom. She claimed that he would sexually assault her. When she described his appearance she said his corpse always looked out of breath and appeared to be smiling—staring at her over her bed. There were many attempts to defeat the vampire. The village priest tried to perform exorcism prayers on him and when he came face to face with him he held out a cross and yelled, “Behold Jesus Christ, you vampire! Stop tormenting us!" Immediately tears began to fall from Grando’s eyes. Villagers dug up his grave and tried to pierce the corpse’s heart, but the hawthorn stick could not penetrate the flesh. Finally, one villager named Stipan Millasic took a saw and sawed the vampire’s head off. Horrible screams and blood spilled out everywhere on the grave. Finally, there was peace in the village. The Slavic peoples have their traditions on how to deal with the nightwalkers. Like many other European countries, the “go to” method is the “living fires” in which they burn effigies, or a representation, of the vampire. In Bohemia, present day Czech Republic, the vampire is known as "ogoljen" or "mura", and they would bury those suspected to be future ogoljen at a crossroads. In Bulgaria, the "kroviajc" or "vepir" is chained to his grave with garlands of wild roses. In Croatia, as we’ve seen with the "pljavica" Grando, they cut the vampires’ head off and place the skull between their legs. Russia, which inspired Bram Stokers’ method, tends to use a wooden stake through the heard to their "myertovets". In Poland, the "upjor" or "wieszczy", who is born with either a caul on their head or a full set of teeth, is buried with their head smothered in poppy seeds and blossoms.